Umbrellas Made In China. 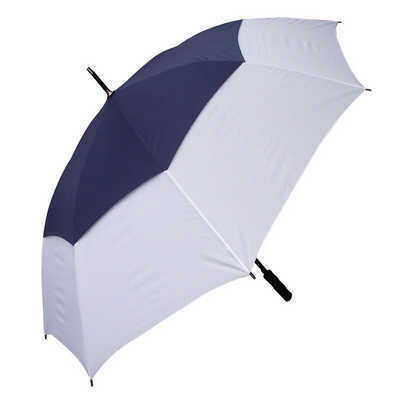 High Quality Golf Umbrella | 8 Panel 190T Nylon Canopy | Auto Opening Wind Proof, Vented To Boot | Strong Fibre Glass Shaft With Moulded Black Rubber Handle. Item Size: 750 Mm Ribs. Colours: Black | Red | Navy Blue | Navy Blue/White | Red/White | Black/White. Decoration Options Available: Screen Print. Price includes : 7 Days 1 col/1 panel printed. Setup is not included, please ask for a final price from your sales representative.